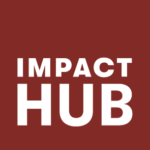 TOMMY HILFIGER asked Impact Hub Amsterdam to support them in their global search for solutions that promote inclusive and positive change in fashion. Tommy Hilfiger subject-matter experts at the Campus of the Future in Amsterdam, the Netherlands. They will pitch their finalized concept at the global Tommy Hilfiger Fashion Frontier Challenge final event in early 2020, where a prestigious jury panel will award €150,000 among two winners to support their ventures. Entrepreneurship Program (ISEP). An additional €10,000 will be awarded to the finalist who wins the “Audience Favorite Vote”.